For In ground pool swimming pools or above ground swimming pools with deck! 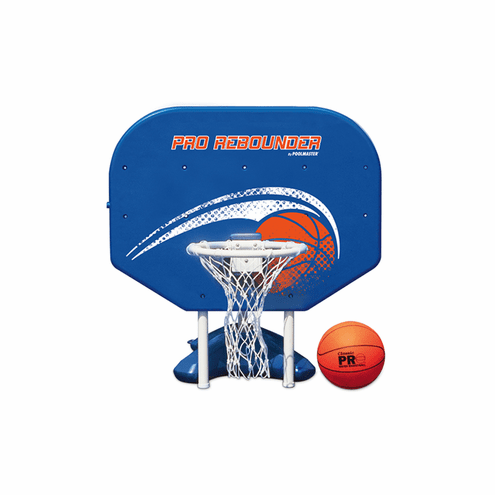 The Pro rebounder swimming pool basketball game features All-weather hard-body 34" wide x 25-1/2" high backboard. Study Polyform game base that can be filled with water or sand and needs only 18"x21" of deck space for support. Study PVC Hoop with durable hand woven polyethylene net. Classic Pro Ball with inflatable needle.